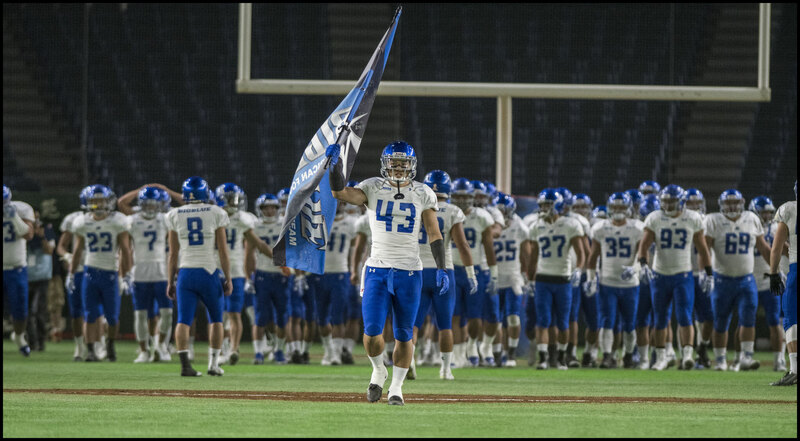 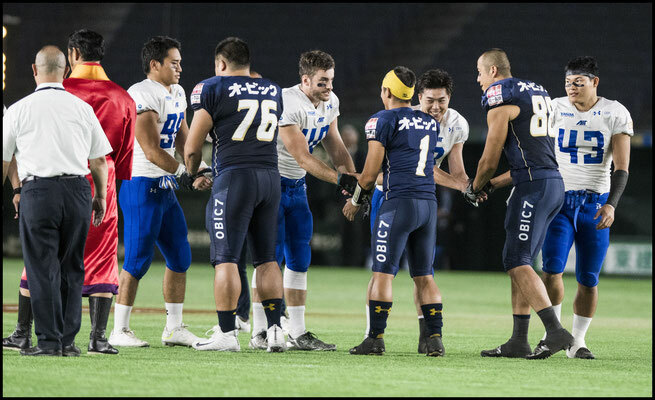 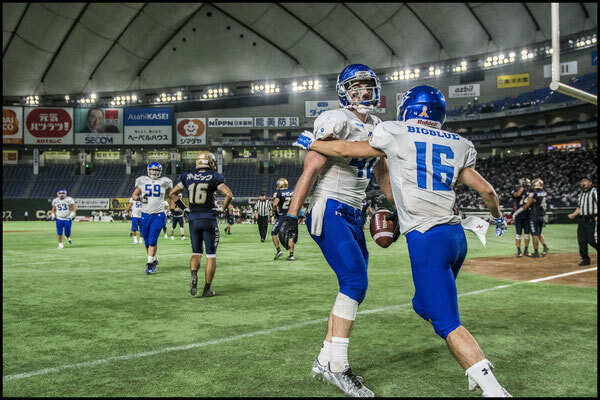 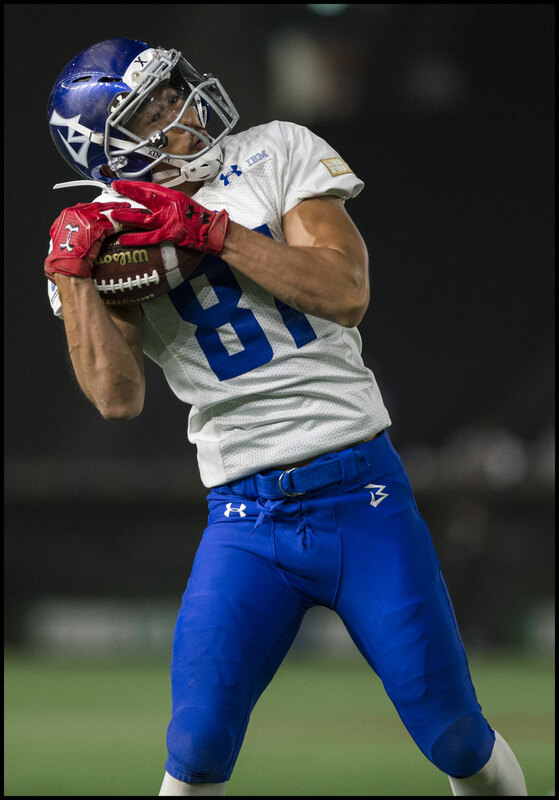 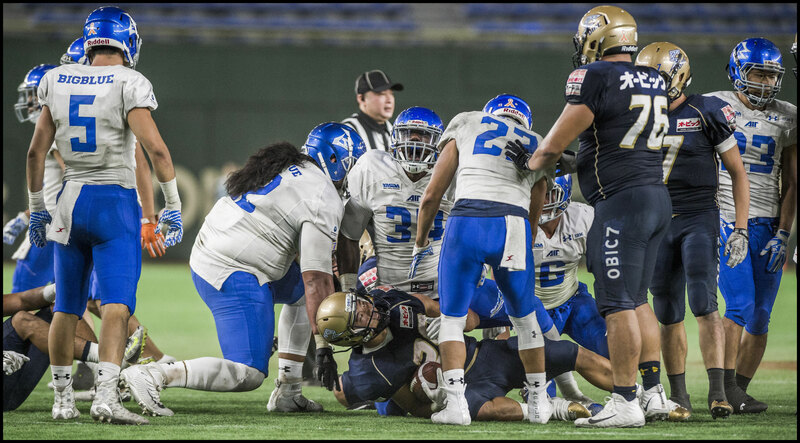 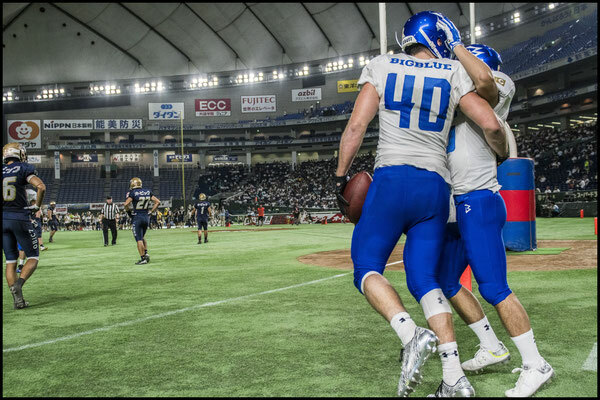 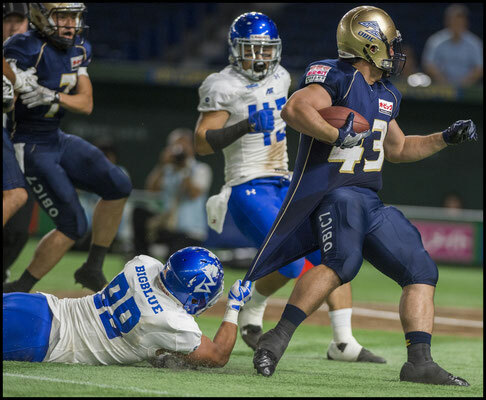 IBM Big Blue got their first ever win over Chiba rivals Obic Seagulls in a wild and exiting game at Tokyo Dome that finished 38-34. 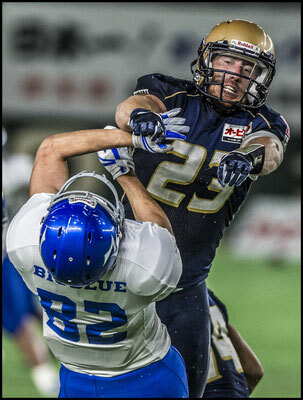 TE John Stanton was the hero of the day with 11 catches for 183 yards and two TDs. Impressively several of his receptions were on third and long when it was patently obvious the ball was coming his way. 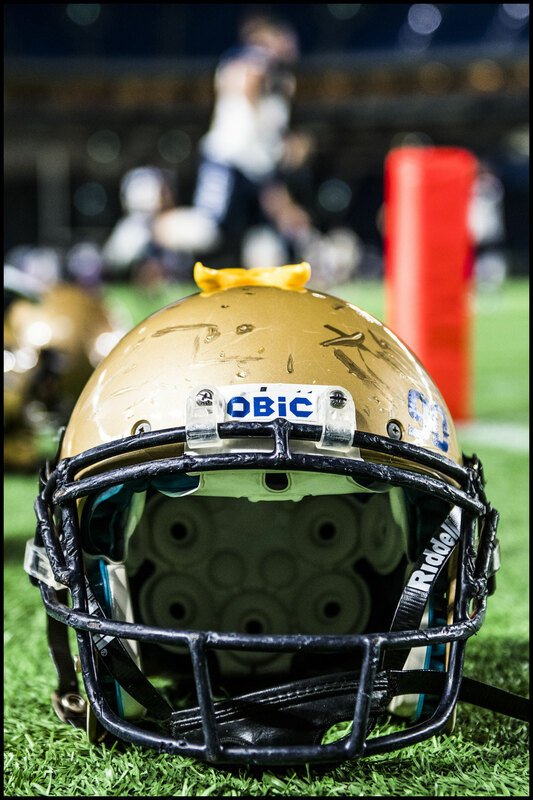 On a night when IBMs other receivers were misfiring Stanton stepped up and kept his side in the game in the first half just as Obic threatened run away with things. Veteran Seagulls QB, Shun Sugawara starting in place of injured Ikaika Woolsey, opened the game on fire, hitting wideouts all over the field and directing two quick scoring drives that had Obic up 14-3 early on. 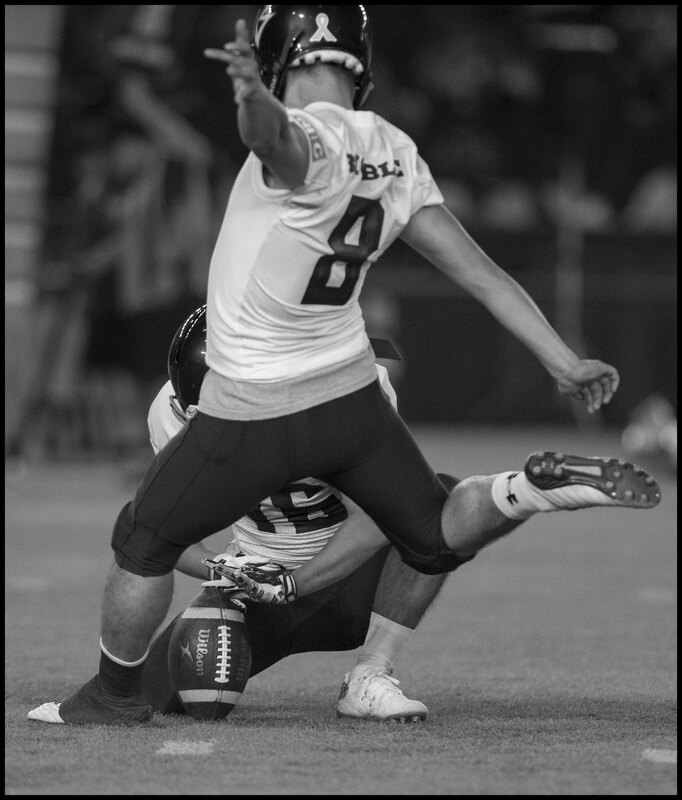 Big Blue conversely had only a single field goal to show for their opening pair of possessions that took twice as much time off the clock as Obic’s. 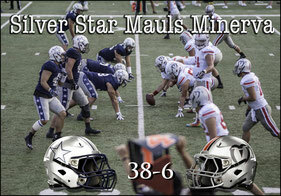 In the second quarter though Stanton took over. If he wasn’t juking tacklers he was running over them. 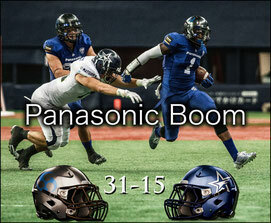 His brace of TDs in the period ensured that IBM would go in at the break down just four points. 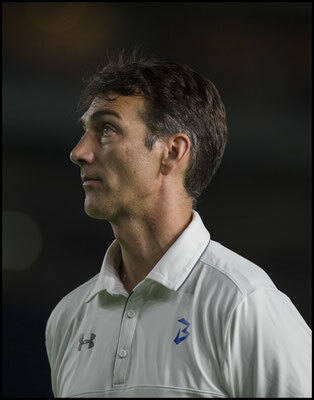 “We put a lot of emphasis on surviving the first half” Stanton said after the game. “They always start strong. They always come out and punch you in the mouth, so the fact that we were close at half time…we knew we had 24 minutes to execute”. 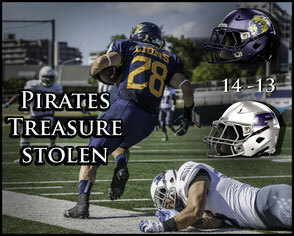 And execute they did. 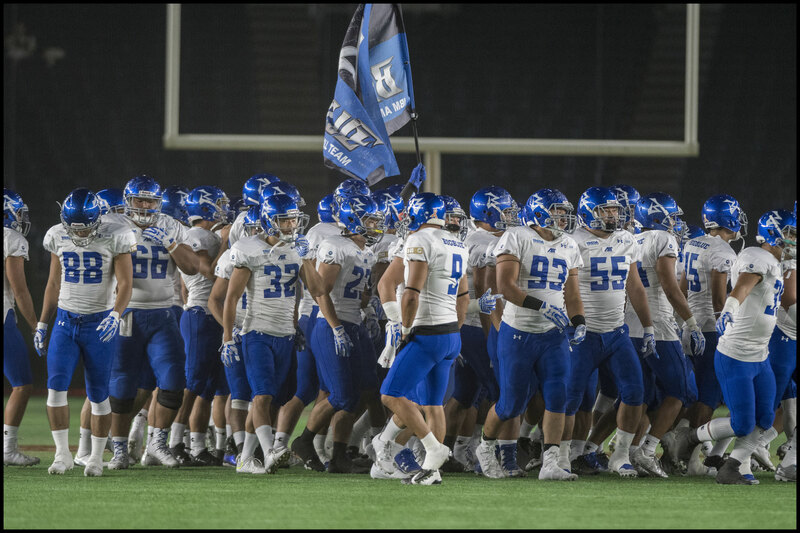 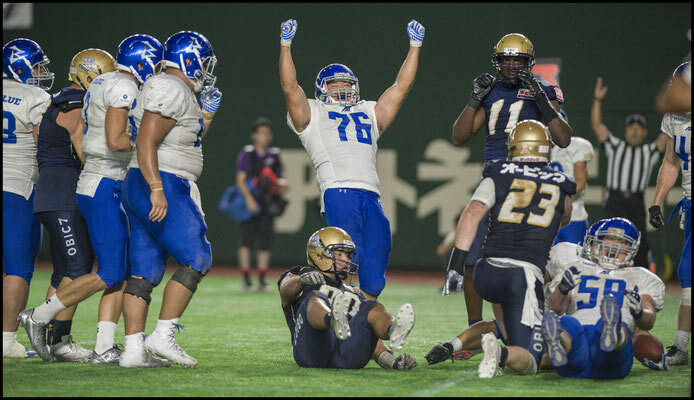 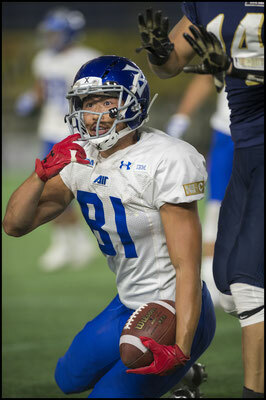 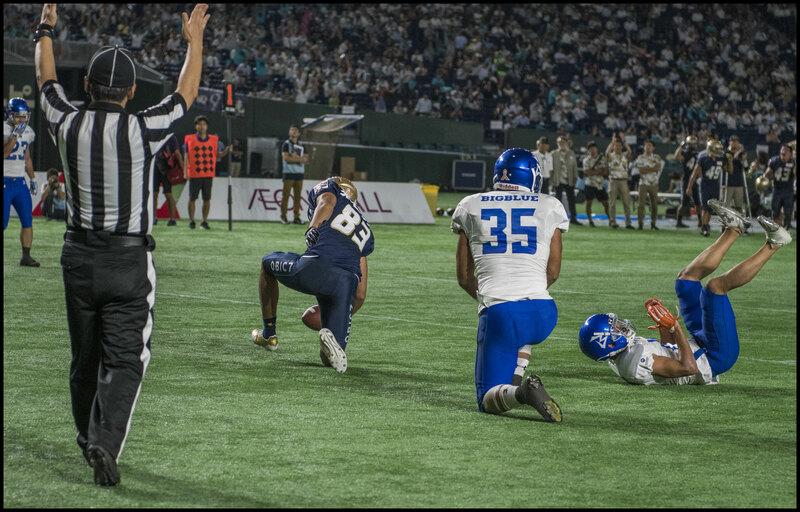 Big Blue came roaring back right after the restart with a 98-yard interception return by #32 Tatsuma Kobayashi that was followed by two more TDs that gave them a 17-point lead. 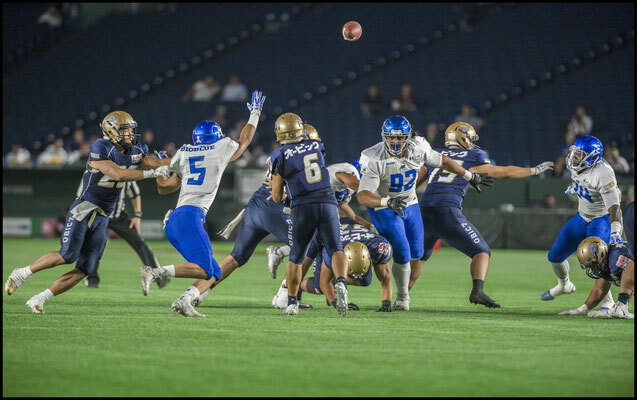 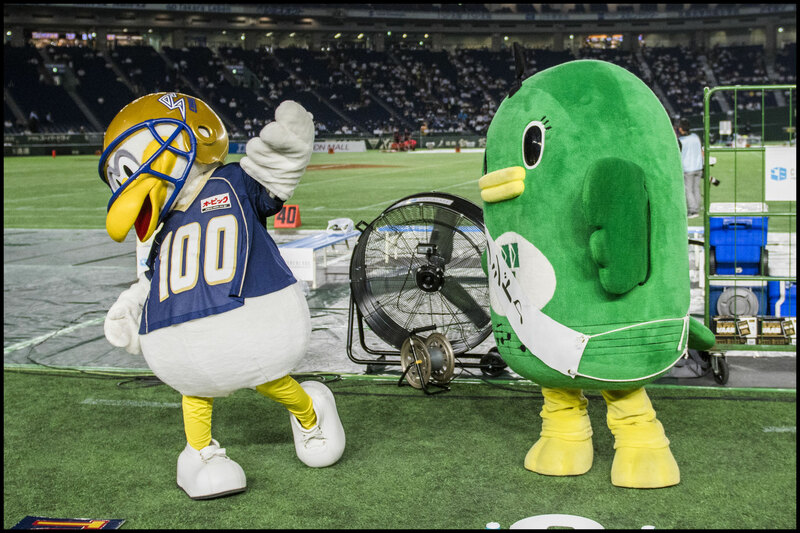 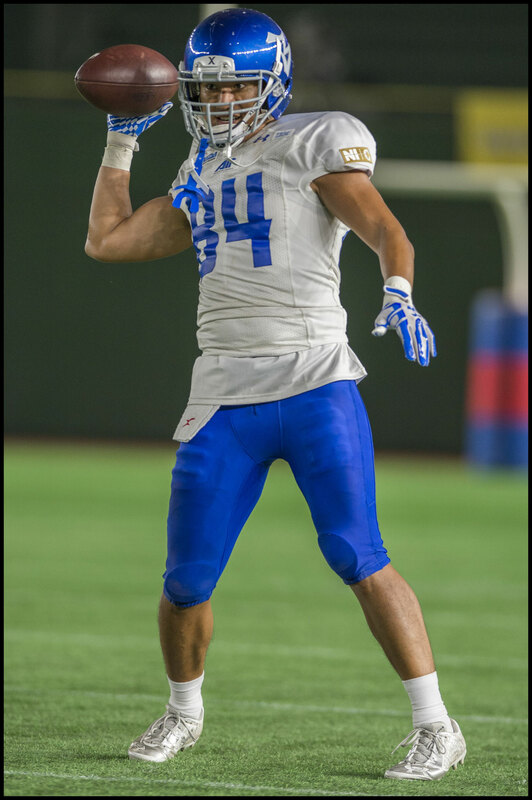 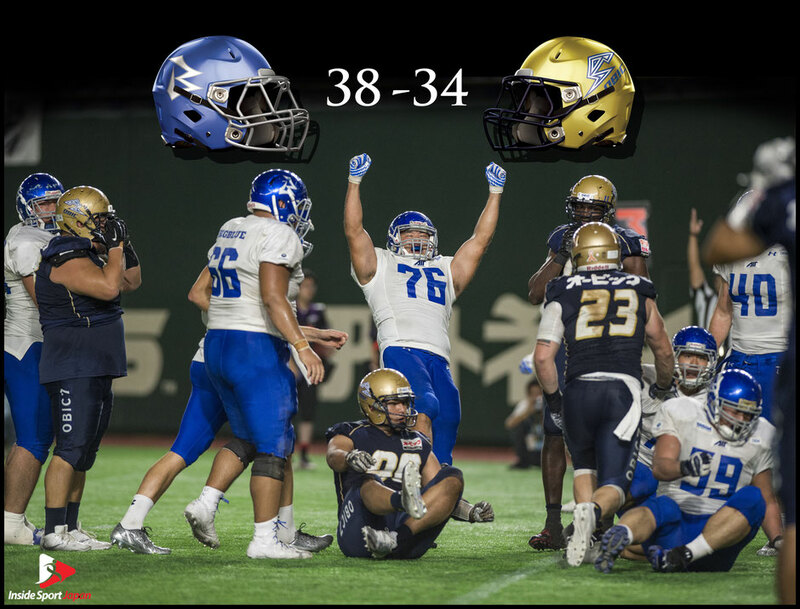 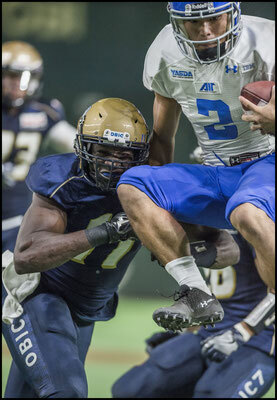 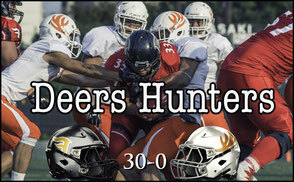 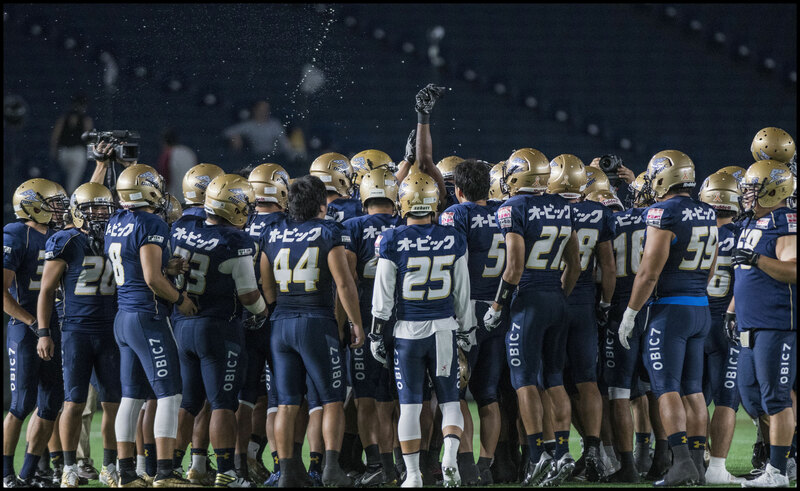 Obic didn’t give up though and Sugawara threw his third and fourth TDs of the game to make the score respectable. The last one came as time expired and no PAT was attempted. The key difference in the second half was IBM’s pass rush started getting home with more consistency. 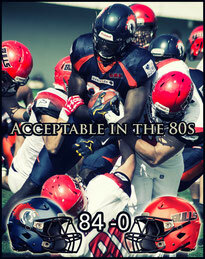 The Interception return was a result of pressure by James Brooks. 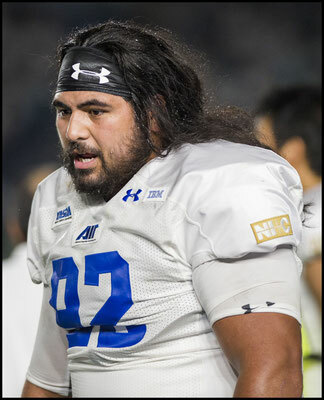 Mammoth new DL Charles Tuaau, despite being double-teamed on most plays was constantly collapsing the pocket and flushing the QB. 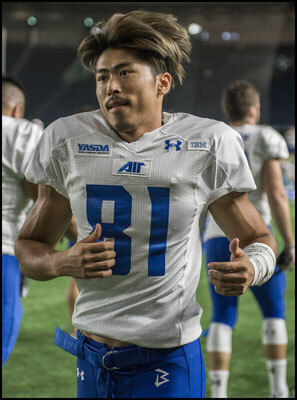 The beneficiary of all this was DL Yuki Fukuoka. 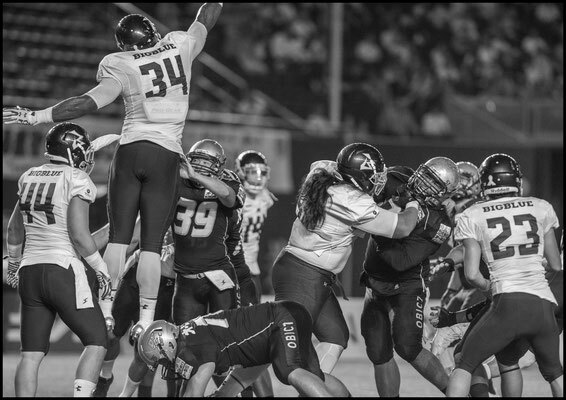 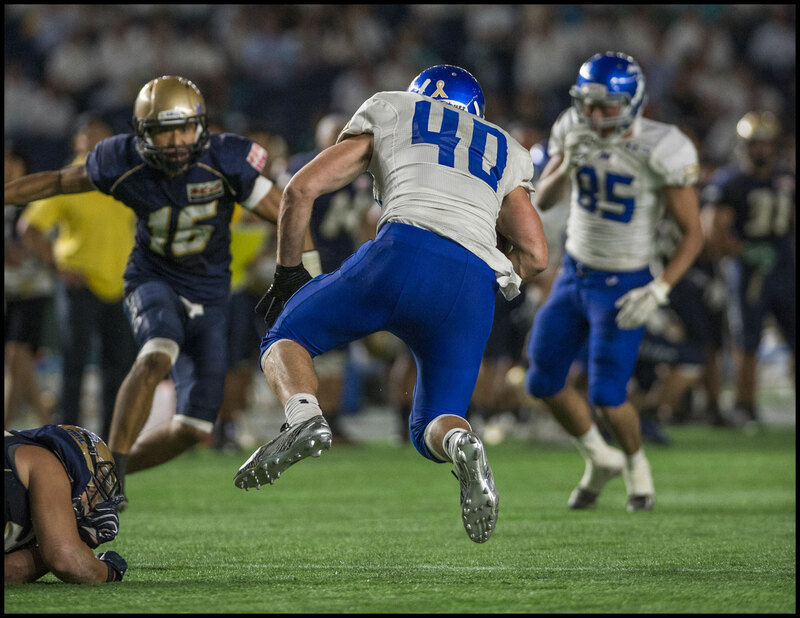 With Obic trying to handle the two Americans he took advantage to record three sacks. 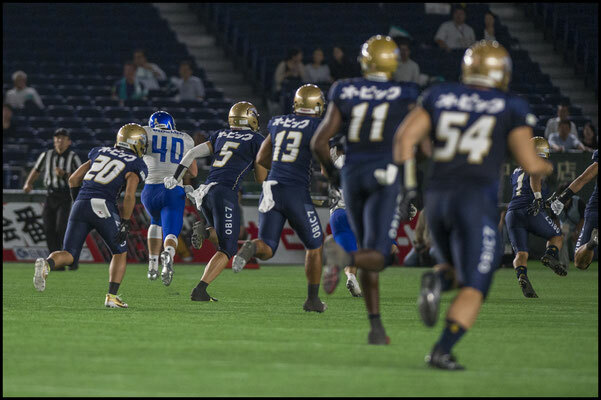 IBM kept it on the ground more in the second half with RB Tomokazu Sueyoshi gaining 72 yards on 15 carries and mobile, hurdling QB Yuki Masamoto doing his thing. 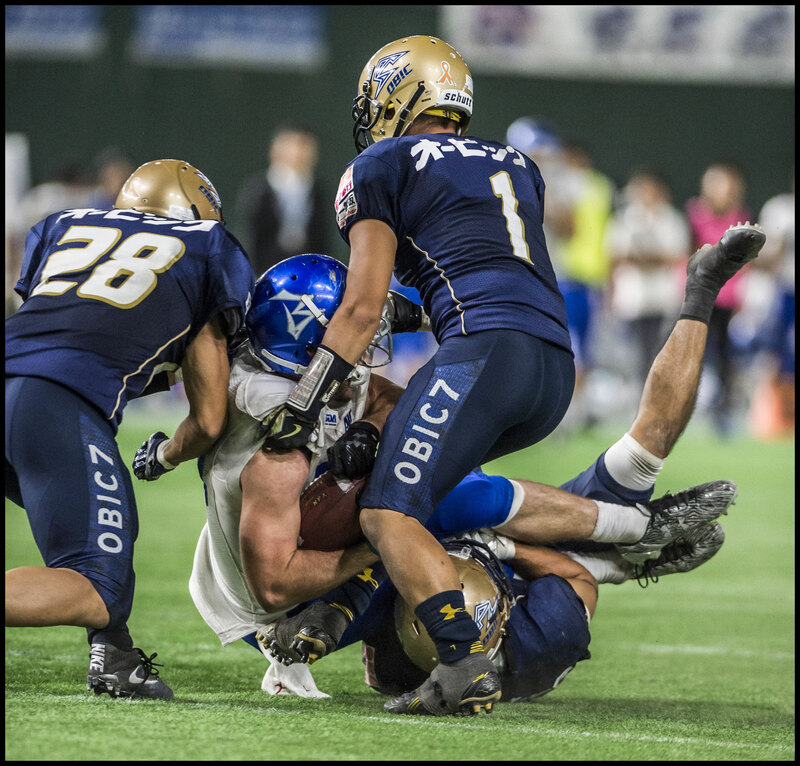 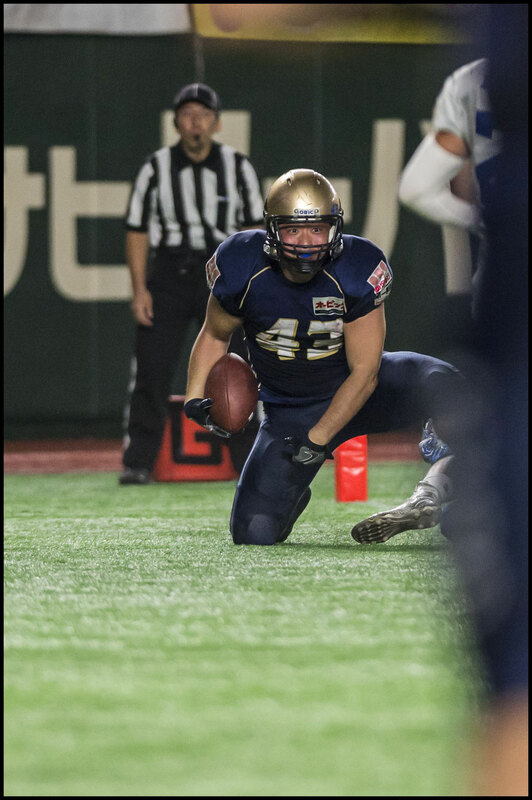 Obic don’t have it easy next time out as they’ll face a Nojima side that crushed the Bulls 84-0. 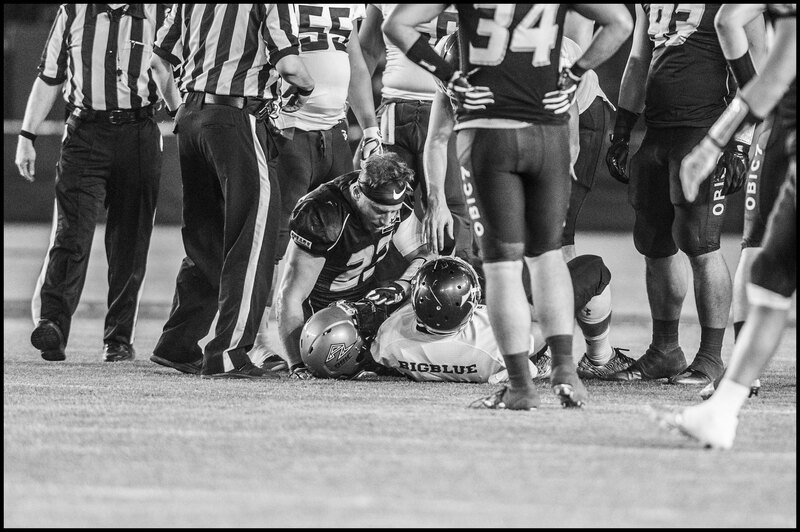 Woolsey was on crutches on the sideline and it’s unclear if he’ll be ready for that Sept 17th clash. 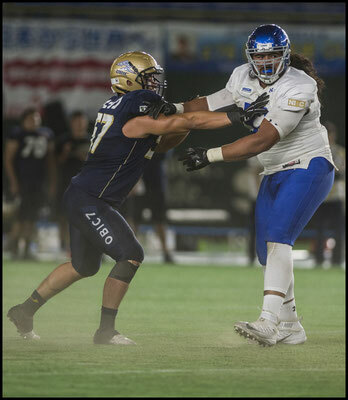 The Seagulls are lucky though in that Sugawara, despite being a backup, is still better than most QBs in the league and The Rise’s pass rush isn’t as fearsome as IBM’s. For Big Blue the next game should be a more straightforward task. They take on the Pirates in the early game at Fujitsu Stadium that day.